According to campaign finance disclosures, Republican Gov. Phil Scott has raised more than twice as much money toward his 2018 reelection bid than any of the other four candidates challenging him for the office. Vermont Gov. Phil Scott, a first-term Republican, has raised more than $120,000 toward his reelection campaign, according to the first campaign finance disclosures since last July. Scott, who only confirmed he's running for reelection Friday, also said his team has yet to formally begin fundraising. He is well outpacing the four other candidates who have registered for the 2018 race for governor. Scott’s lone challenger in the Republican primary so far — Keith Stern — has raised $28,190, nearly $24,000 of which arrived in the form of contributions or loans from the candidate himself. Though she began fundraising less than two weeks before the March 15 disclosure deadline, Democrat Christine Hallquist has managed to raise more than $40,000 toward her gubernatorial bid. That's twice the amount her primary opponent, James Ehlers, took in despite the fact that Ehlers has been in the race since last July. 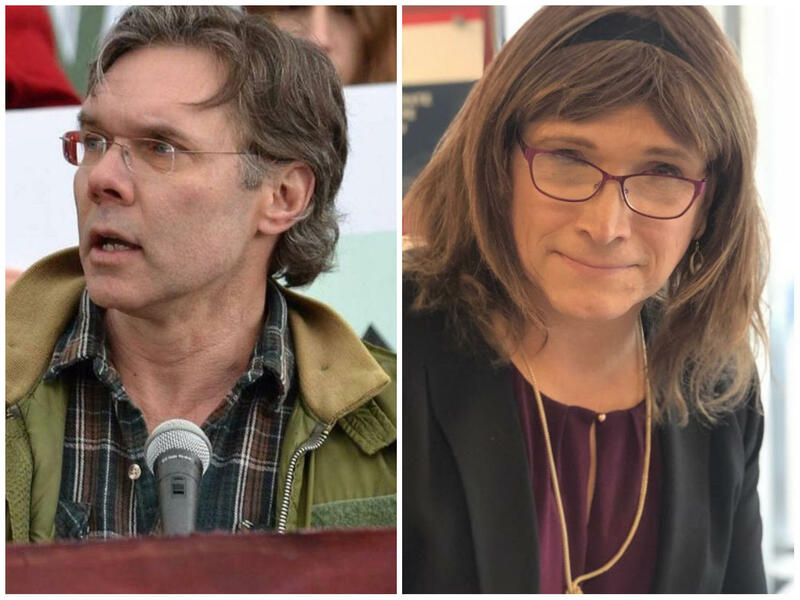 Two of the three candidates running for the Democratic nomination for governor: James Ehlers, left and Christine Hallquist, right. Ethan Sonneborn, a 13 year old from Bristol who is also running for governor as a Democrat, reported $633 in contributions from 17 donors. Sonneborn had setup a GoFundMe page, (which is now no longer active) where he raised the majority of his contributions. Update 4:23 p.m. This post was updated to reflect Gov. Scott's confirmation that he will seek reelection this year. The role of corporate money in Vermont politics has come under withering scrutiny this election cycle, due in large part to the rallying cries of Bernie Sanders. And several politicians in Vermont – Democratic candidate for governor Sue Minter among them – have sworn off direct donations from corporate entities altogether. Two candidates vying for the Democratic nomination for governor are carving out some early distinctions in their approaches to campaign finance, and fiscal oversight of state government.